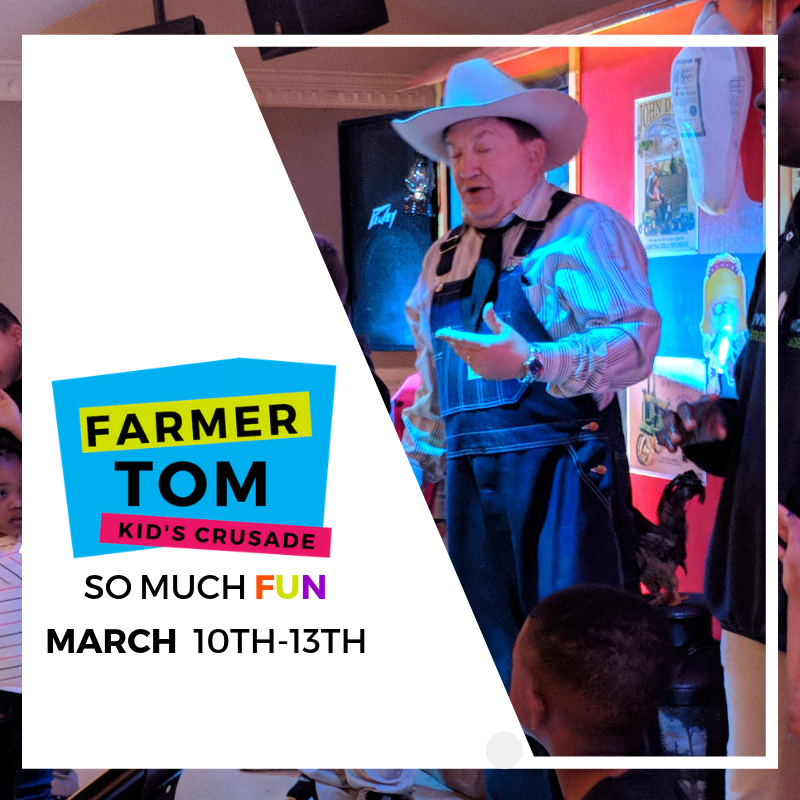 Farmer Tom Kid's Crusade is fun for all ages! There is never a dull moment when each service is filled with games, songs, laughs and prizes! Children, come ready for an exciting time in God's House! Parents can come experience the Word through the eyes of a child!